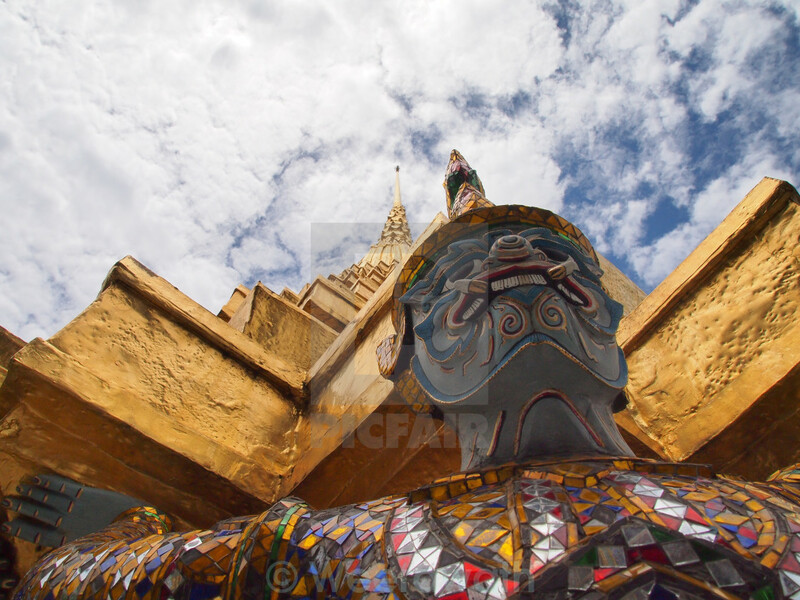 Sculpture of color full Ramayana Giant guard the gold pagoda under cloudy sky. the nice decorated Ramayana blue skin Giant is one of the character from Ramayana story tale from Hindu religion. the pictures is taken in the Thailand grand palace called Wat Phra Kaeo, the well known travel location of Bangkok. This pictures is taken with bottom up view to let viewer see from different angel.